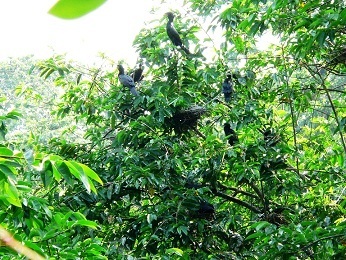 Day trips to Kerala’s tourist spots are a popular option among local vacationers. Several resorts cater to this group by offering day-out packages. Overall, it is a win-win situation for both the travelers and the resort owners: for the vacataioners, it is a very economical way to enjoy a full-day of activities at a resort while for the resorts, it offers a way to optimize capacity utilization. The usual setup consists of outdoor activities (trekking, boating, use of swimming pool, etc.) with food included (welcome drink, buffet lunch, and snacks) for a full-day’s (9AM to 4PM usually) entertainment at well under Rs 1,000pp. Lunch with 2 non-veg dishes (fixed menu). Evening Tea/Coffee with one veg snack. Use of swimming pool (swimming costumes mandatory, pool towels provided). Room for changing (subject to availability). What they provided was very close to the above: room for changing is not provided although there is a store area in front of the swimming pool which is open - also, restrooms and wash-area are also always open by the side of their main restaurant. 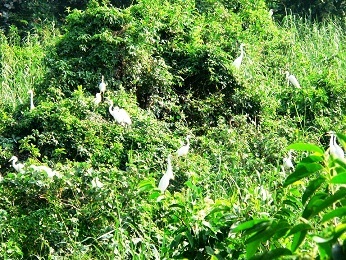 KTDC Water Scapes is blessed with an outstanding location - inside the bird sanctuary with vembanad lake frontage. 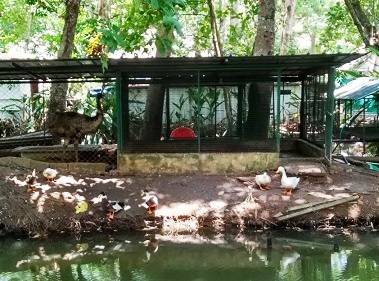 Although it is starting to show its age, the property is excellent: nice reception area, wonderful restaurant on the water (built on stilts just like the villa rooms), ayurvedic facility, infinity pool, a newer boat landing facility, and beautifully maintained acreage with an organic farm along with a mini-zoo. The main entrance to the facility is shared with the bird sanctuary entrance. Once your enter, bird sanctuary visitors have an interpretation center at the V and tickets can be purchased there. To the right is the lane that leads to the gated entrance to the KTDC Water Scapes property. For hotel guests, adjacent to that entry gate is a private pathway to the bird sanctuary. Bird Sanctuary: Welcome Drink followed by entry into the bird sanctuary. The bird sanctuary visit took around two hours (4KM walk overall). Although, the best time to go is early morning (6AM open), the second view tower near the end of the walk is a great location to see thousands of birds, independent of your time of visit. One-hour boat ride: There is a small caveat with this: they do this as part of the package only if there are ten or more signups. Otherwise, for a private boat-trip, there is a Rs 650 fee. As we were the first group for the day, we booked a boat-ride on our own and by the time it was time to report, they had other day-pack visitors and so they waived the fee for everyone. 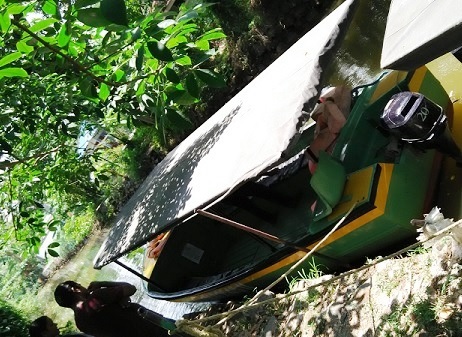 As it is very popular, it is quite likely for this to happen.It is a motor boat and the route is a loop that starts in the Meenachal river, enters the vembanad lake for a short duration (paathiramanal island can be seen when you are in that portion of the ride), and then reenters the river and back to the starting point. The glimpse of rural life that one gets to see was the highlight. For the day-pack customers, what they have is a set menu that includes soup, salad, rice/chappati, chicken curry, pearly-spot preparation, five veg dishes, and fruit-salad/ice-cream. While this setup avoids the inevitable chaos in a buffet, it is still not ideal - a lot of food goes to waste at every table. 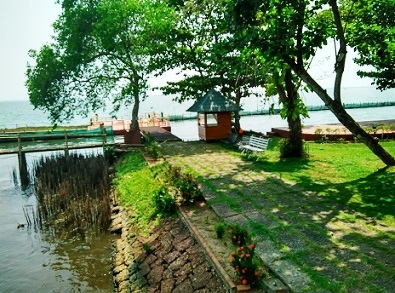 Fishing: as the resort is adjacent to the Vembanad Lake and there is a boat-landing area built-up, there are several spots around there to try your luck. They provide a basic line-and-hook along with bait (atta batter with butter and turmeric powder - apparently the latter two ingredients help attract the fish). What is given is too basic to catch anything big, but pearl-spot babies and other small fishes are a plenty and it is quite easy to catch those. Swimming Pool: They do provide towels and there is a store room area that can double-up as a changing room. The infinity pool, one of the first of its kind setup in Kerala in the 80s is quite large although not very clean (dead leaves and such). Evening Snack: The restaurant offers a light snack and tea/coffee after 3:30PM or so. Overall, we rate this an excellent option for local visitors considering a day-out package. 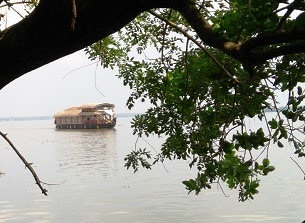 Kumarakom KTDC Water Scapes - Day-out package - Review (this post).